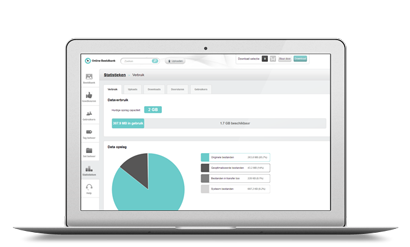 Cocoon’s Statistics module shows you the use and costs of the media management software. You can consult the total number of uploads per period at the ‘uploads’ tab of the Statistics module. You can select this period yourself (per day, month or year). You can also get insight into the number of uploads per user. 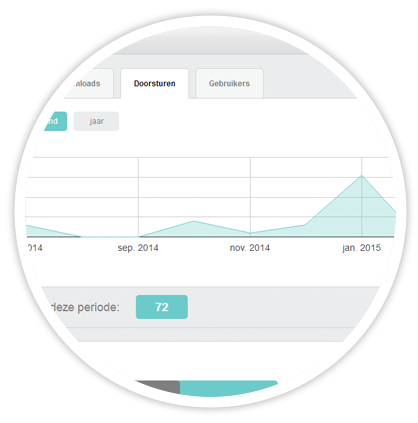 You can consult the total number of downloads per period at the ‘downloads’ tab of the Statistics module. You can select this period yourself (per day, month or year). 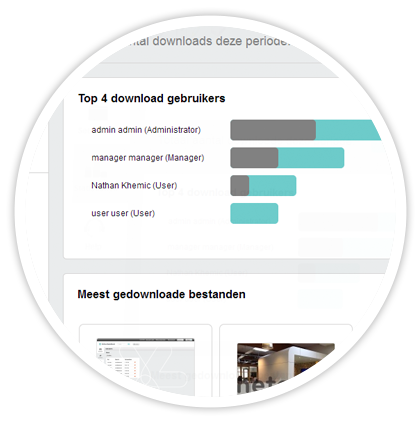 You can also get insight in the number of downloads per user and you will get an overview of the most downloaded files. You can consult the total number of shared files per period under the ‘resend’ tab of the Statistics module. You can select this period yourself (per day, month or year). You can also get insight in the number of transfers per user and you will get an overview of the most shared files. You can consult the (most recent) uploaded, downloaded and forwarded files under the ‘users’ tab of the Statistics module. You can consult these data per period (per day, month or year).